During the cooler months of the year, we spend a lot of time indoors. To keep the kids engaged and entertained, I always try to encourage their creativity during play time. 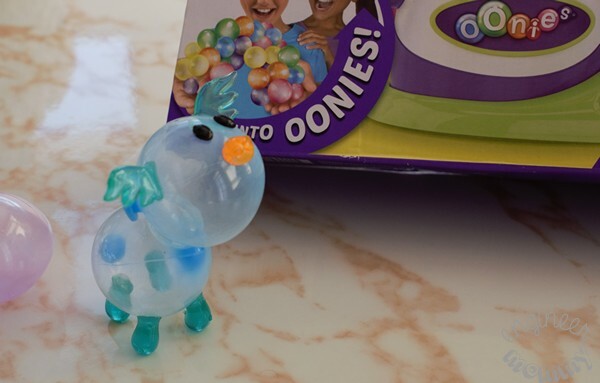 We recently checked out Oonies by Moose Toys and had a blast! I can’t wait to share with you all the fun & excitement we shared. 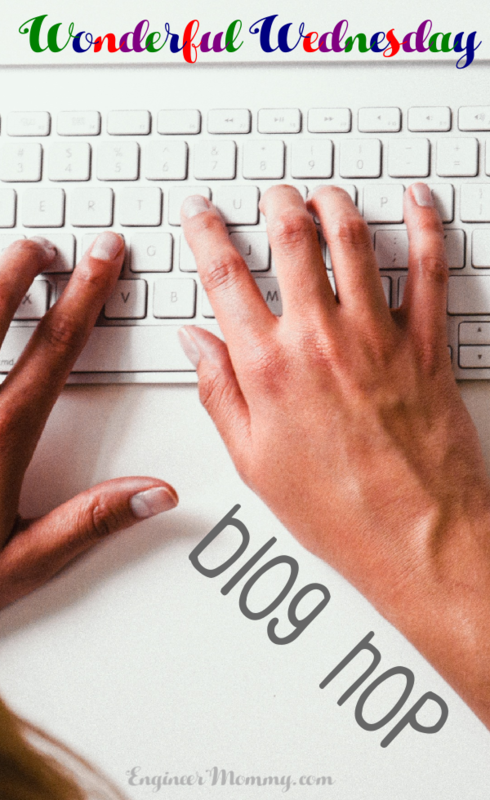 Keep reading for some easy tips on encouraging creativity with your kids every day. 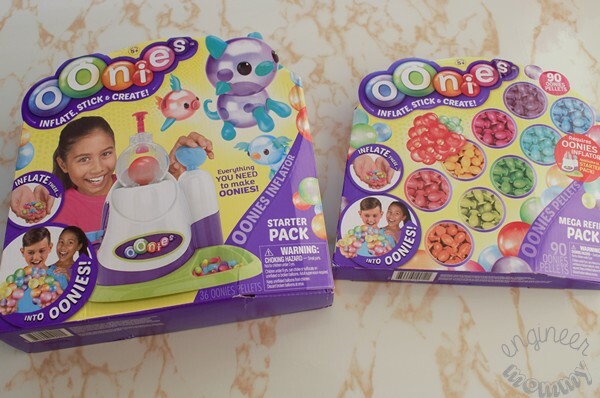 By the way, check out this fun video that highlights some of the fun we had with Oonies! Play with toys that easily promote creativity. Some toys really inspire kids to use their imaginations. One such example is Oonies! We got the Starter Pack and the Mega Refill Pack. After playing with them for hours, I can say that Oonies are the most fun way to create! 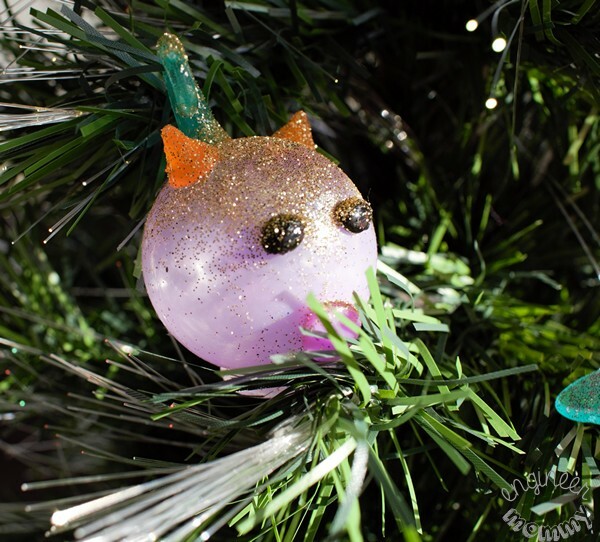 You can create anything: cats, creatures, fish, ornaments, … anything! It was super simple to inflate the Oonies. 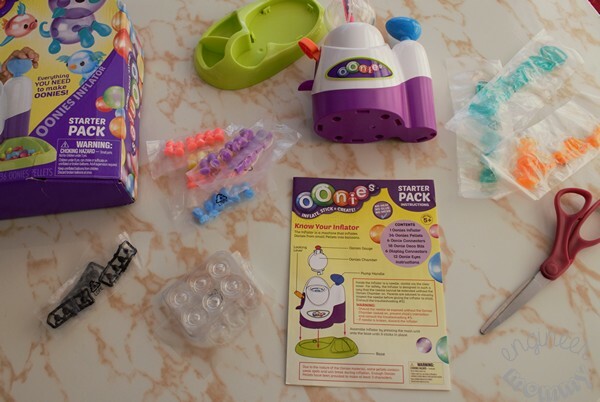 The instruction manual outlines the simple process of transforming the tiny pellets into inflated Oonies! It’s actually quite magical to watch the inflator at work. Here are some of the Oonies we made! Look at all the colors! By the way, they’re super sticky so they adhere to each other easily. When being creative with Oonies, don’t just make a dog or a cat. 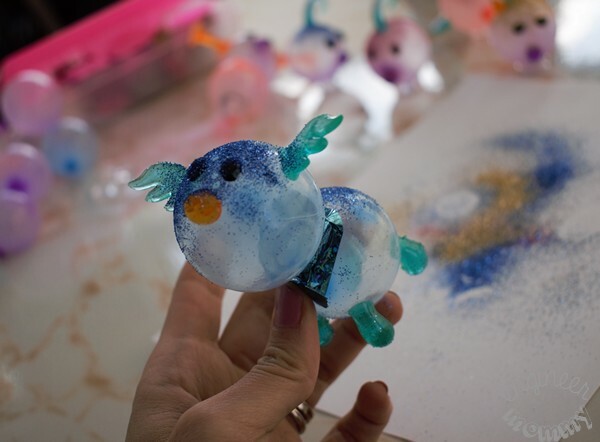 Let the kids create dragons and unicorns and all sorts of magical creatures. Oonies makes it easy for the imagination to soar! Sophia created this little dog at first. She was very proud of her creation! Also, keep in mind that since Oonies stick to each other, creating impressive designs is easy and mess-free! Bonus perk for mom, am I right? They didn’t just stop at the dog. Take a look at all the different creations they made! My older daughter had a blast decorating the Oonies. My younger daughter really enjoyed inflating them. Encourage the use of different media and embellishments to adorn your creations. My girls wanted to take out the glitter (they always do). 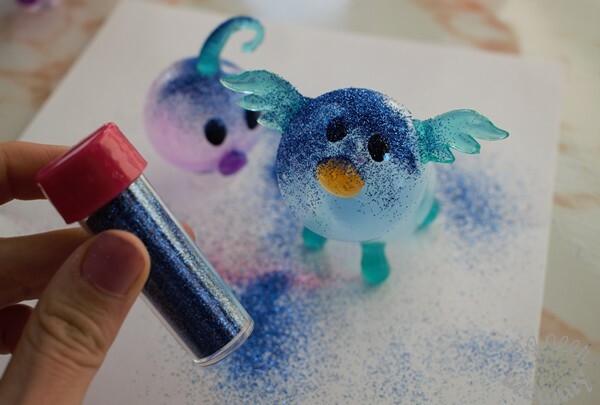 We grabbed some fine glitters in various colors and sprinkled some on top of our magical creatures. We made this cat (or other unique creature – use your imagination). The glitter definitely adds a magical touch, don’t you think? We also took out the washi tape to give the doggy a striped blue scarf! Isn’t he cute? Our collection of Oonies sat on this table in the playroom for a while. The girls loved to play with them and incorporate them into their imaginative play with other dolls & toys. Look for unique ways to use your creations. The Oonies made an adorable tabletop decoration for days but then we decided to use them in a different way. 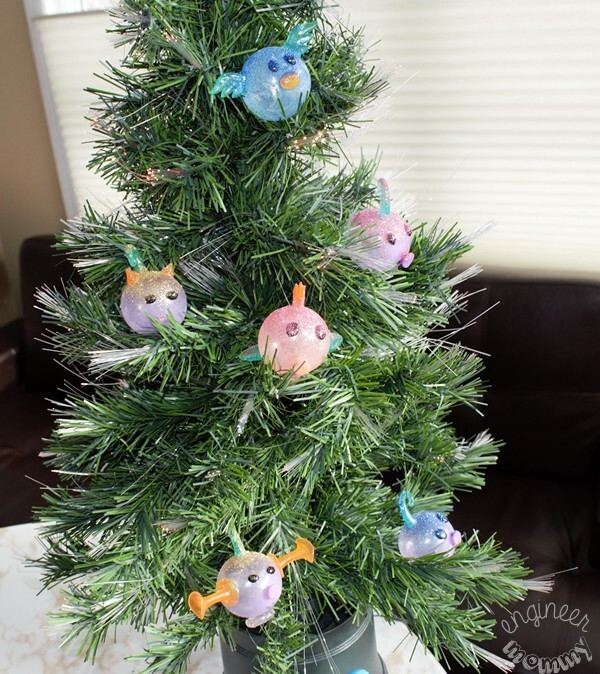 We decided to decorate our tabletop tree in the playroom with Oonies. 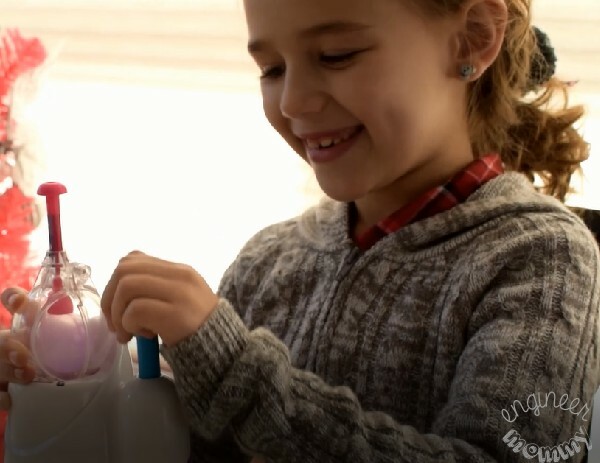 By encouraging kids to look for new uses for everyday toys, they are really exercising their creativity muscles! Since they’re naturally a bit sticky, I didn’t even need to bother with thread or string. The Oonies can be tucked right into the branches and will stay in place. Our tree is so fun and festive. I love that our playroom tree showcases the girls’ imaginations & creativity. 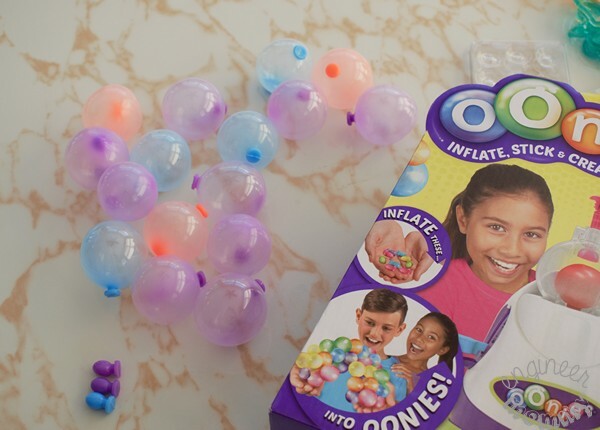 Oonies make a fabulous holiday gift for any kid on your shopping list. 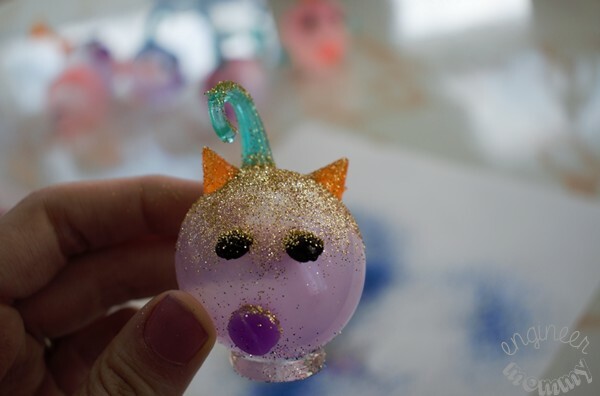 Check them out and let your kids get creative this year! I’d love to hear from you. 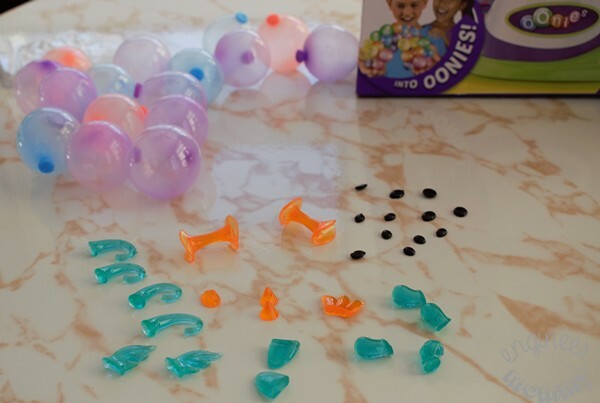 Have your kids ever played with Oonies? How do you encourage creativity every day? Haven’t seen this craft yet but I can already tell it would be a big hit with the grandkids. What a fun way to spend the afternoon with kids creating something fun. I am SO glad these work well, because I bought this for my daughter as a Christmas gift. She saw it in the store and thought it looked awesome, so I’m glad to see that it really is. This would be a lot of fun! It is simple to do and the kids would love it. I think we might have to do something like this to decorate our tree it would be a lot of fun. My grandkids would love playing with these. I like that these sets encourage out-of-the-box thinking and creativity. My daughter loves arts and crafts! She would totally love to play with this, and create those oonies! This is great! I love bringing out and encouraging creativity in children. This looks like a great toy! I agree that having the right supplies and toys is how to encourage creativity. 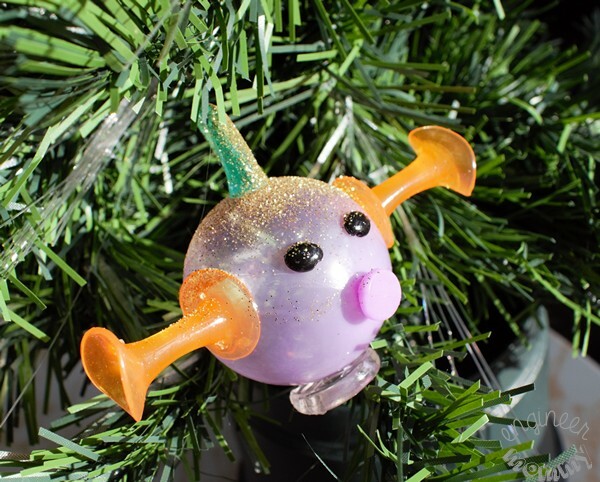 My kids have their own little Christmas tree that they get to make decorations for each year, these would be so cute on their tree! I’m not familiar with these. They look like they let children be very creative, I know my niece wiuld enjoy that. Never heard of Oonies so thanks for the introduction. We are all about creative play and try to buy toys that promote creativity and imagination. My kids would absolutely LOVE this. 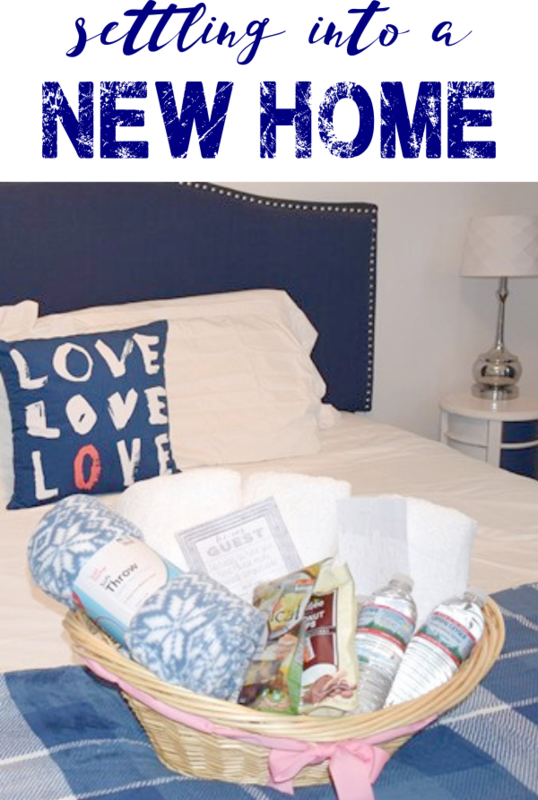 We are all about arts and crafts, especially when they are open ended activities that can result in crazy creations. Definitely seeing if I can snag one for the holidays! OK I’m hooked now and I need to get these. 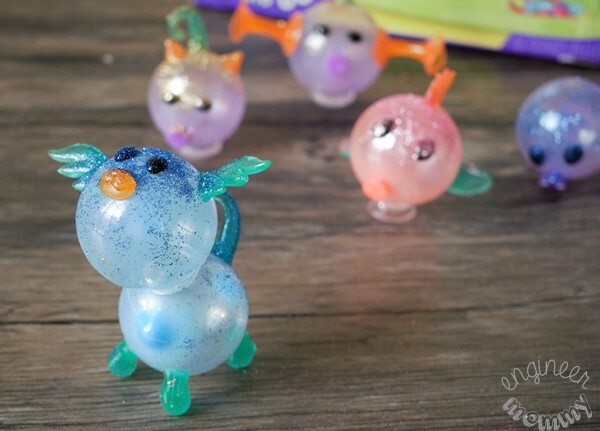 Thankful I have grandchildren so I can pretend it’s for them but I think we’ll all be having fun making these!! My little nieces and nephews would love to have this. Even at a young age, I can see their talent in creative play. This new toy would be perfect to hone their talent even more. 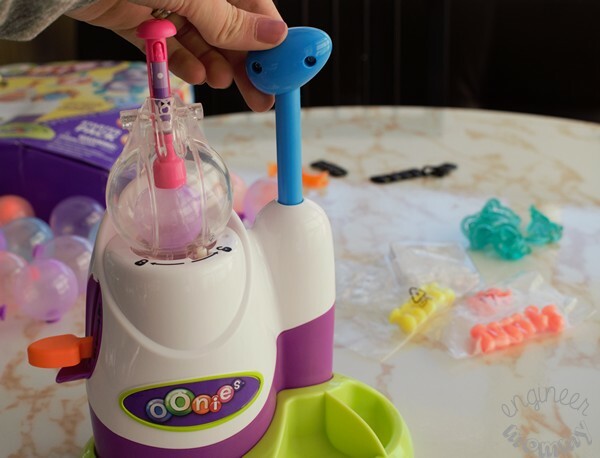 I always had crafty toys similar to this when I was a kid. It definitely fostered a crafty spirit in me still to this day. 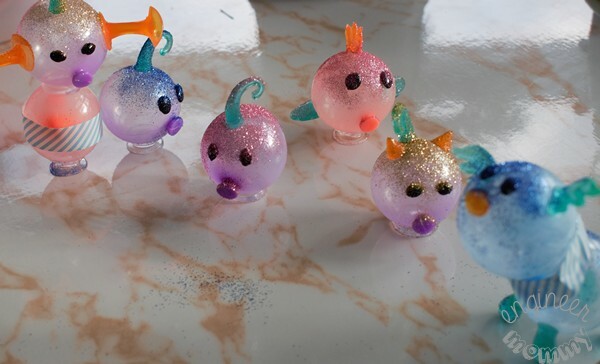 These look so neat for kids and a fun way to spend a cold or rainy day. 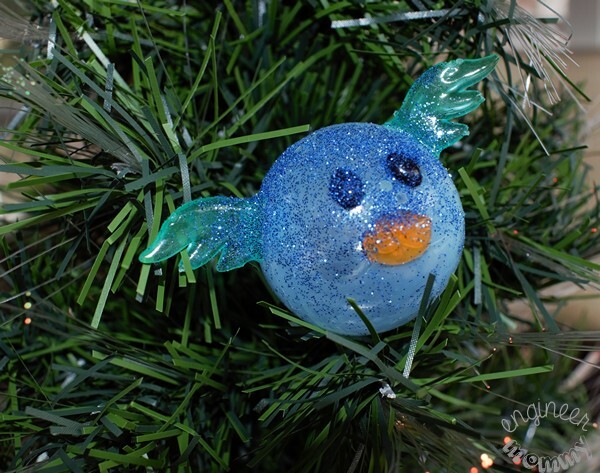 They make adorable Christmas decorations. Oh my goodness!! This has got to be the most adorable little thing. That little pig was too cute! I thought my toys were cool when I was younger. These kids have so many more cool things than we did. 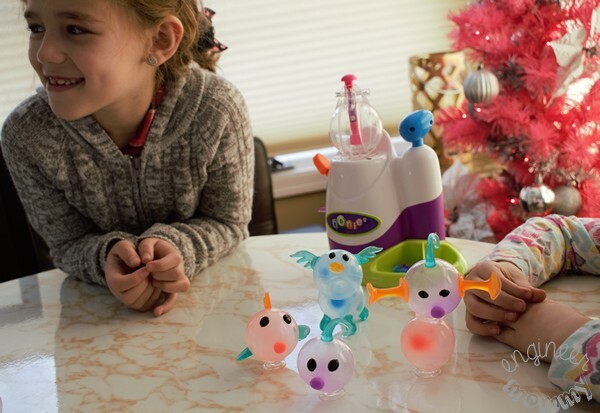 I love buying gifts that encourage kids to get creative! I used to love those types of gifts growing up and I hope my nieces and nephews will love them too! I’ve always tried to make our family activities as creative as possible and I think it worked!